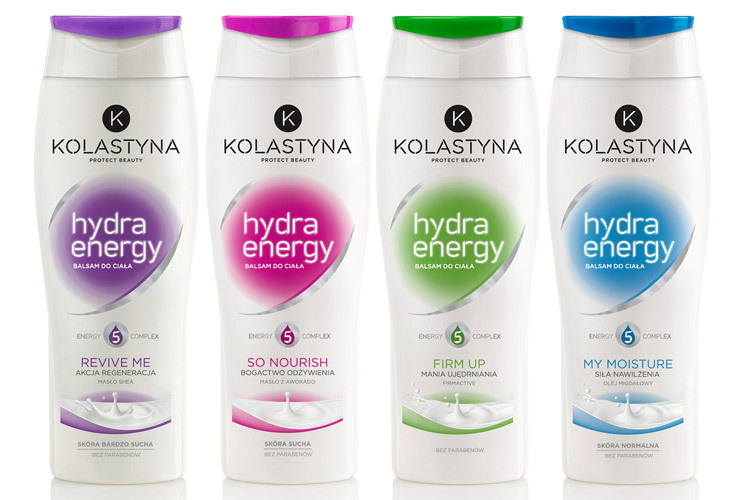 Kolastyna is a leading Polish skincare brand. We redesigned the identity of its existing body balsams line to increase shelf impact and make it more relevant to the specific market segment that requires increased caring and cometicity cues. Our naming study resulted in the "Hydra Energy" subbrand and a new nomenclature system. Our design study resulted in packs that stand out on the crowded shelves and add on femininity and indulgence. The effectiveness of our work became immediately apparent in Kolastyna's sales results.